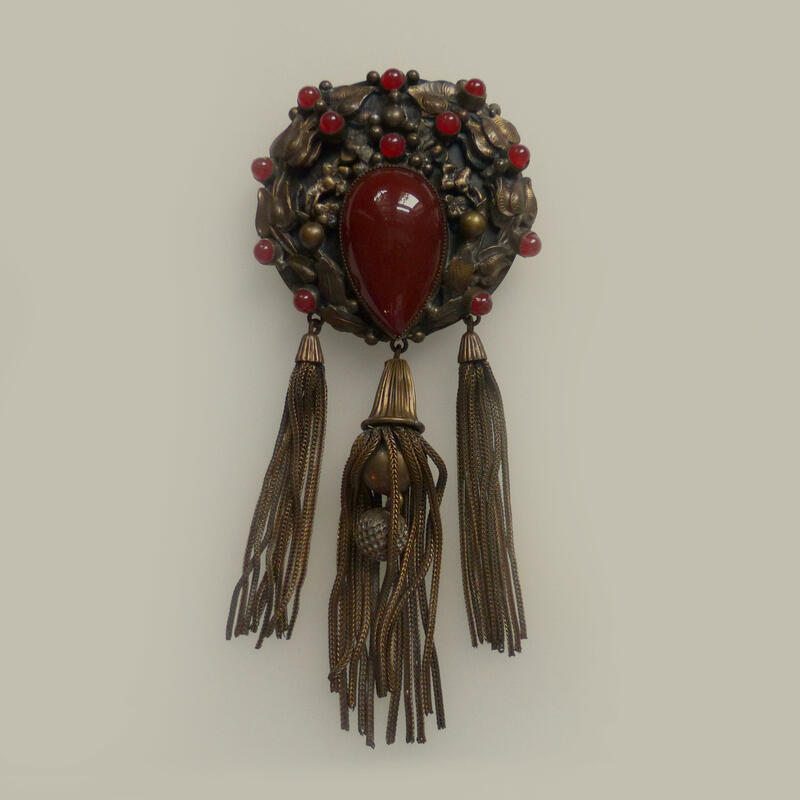 Impressive and striking heavy cast brass brooch set with blood red glass cabochons, and finshed with lavish and exotic chained tassels. Ivy leaves and dainty flowers surround the huge central teardrop shaped stone. 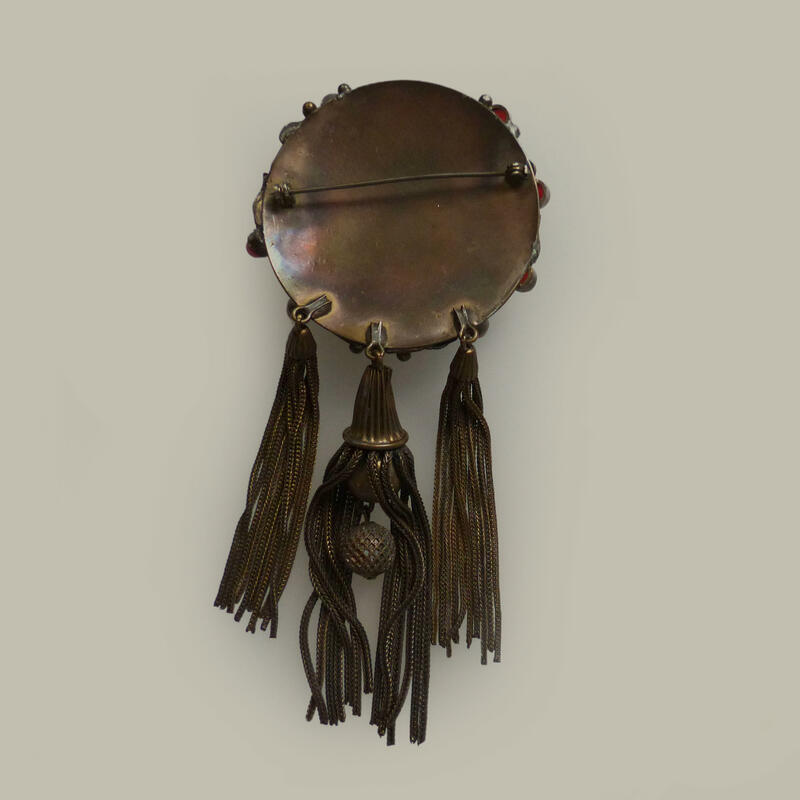 This early peice is unusually large, and may well have been designed as cloak pin, or a sash pin worn on a ribbon or sash around the waist.